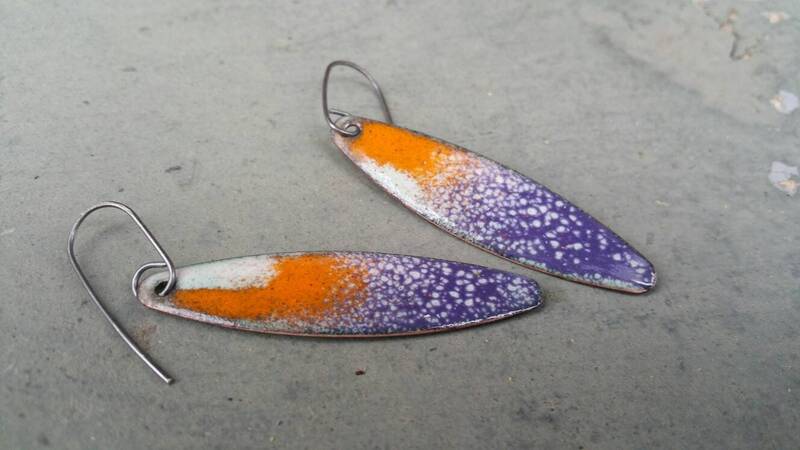 Abstract Impressionist Vitreous Enamel Earrings. Oblong. Lightweight. 2 in length. Sterling Silver Earwires. 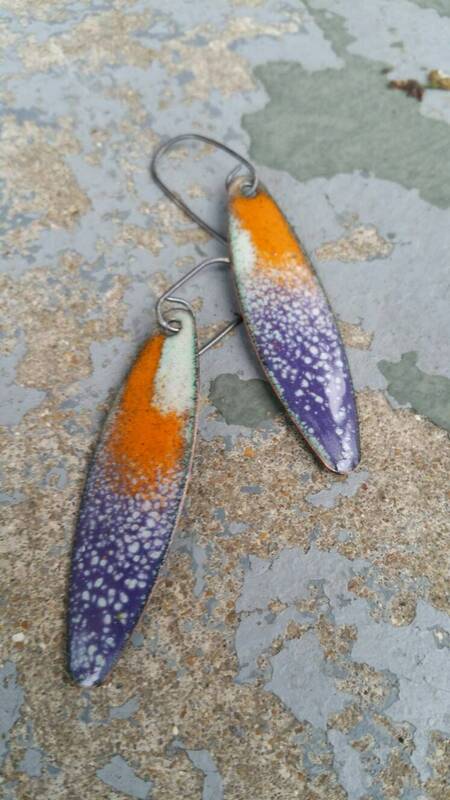 Abstract Impressionist Vitreous Enamel Earrings. Oblong. Lightweight. 2" in length. Sterling Silver Earwires. Created from a sheet of copper. Hand cut and filed for smoothness. 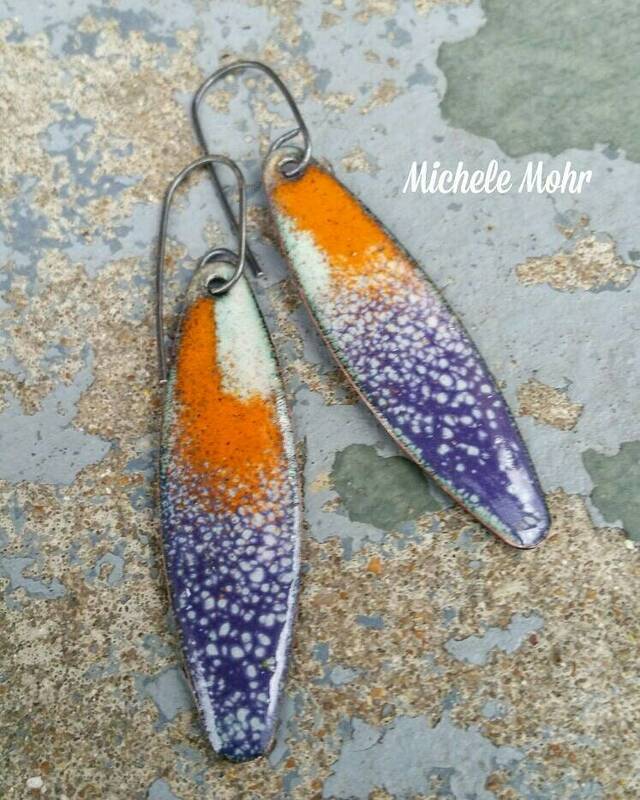 Vitreous enamel (pigmented powdered glass) is sifted onto the copper and fired in the kiln, fusing the glass to the copper. Different methods are used to create design. Multiple layers and firings are used to create your one of a kind abstract impressionist artisan earrings. The sides are buffed to create smoothness. These hang from hand crafted and formed sterling silver that has been oxidized with liver of sulfur. These are 2" in length and 9/16" wide. Packaged in a cotton filled gift box. Purple, orange and lichen green.